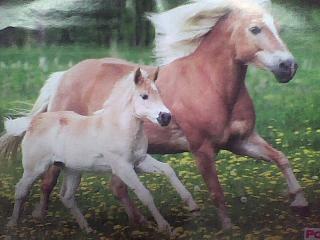 Well I like horses. I'm kidding... I LOVE THEM! I love them all! Cheeky ones,fat ones,thin ones,tall ones,small ones and lazy ones! I love mucking out stalls (weird I know!) and when I'm get bored mucking out I put on Justin Bieber and Big Time Rush on my phone! I dont really like doing water coz I cant carry it very much but I still do it. 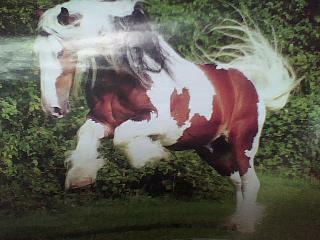 My room is filled with pony posters and horse models! My desk is filled with Pony Club Secrets books. My bed is filled with pony pillows. My bed is filled with my pony bed covers! My desk is filled with pics of Heidi! 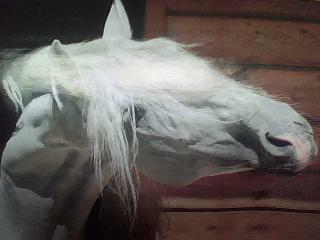 My wall is filled with pics of Ellen Whitaker posters! I love watching showjumping and cross country! I love grooming my pony! I love riding with my friends!